A cropped top that serves well as a starter or extra top for your costming needs. 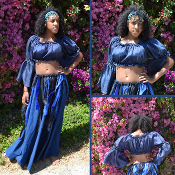 An affordable option to get into the ensemble you want. 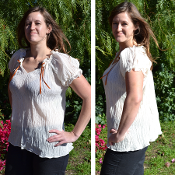 Classic peasant or poet style Blouse, with our signature sweetheart neckline. Our Naomi Blouse is a crop top with especially sweet styling. 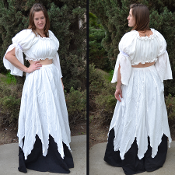 Off the shoulder to show your Angelic nature! This is an all time favorite. Cropped top with drop sleeve and lace detailing at upper arm. 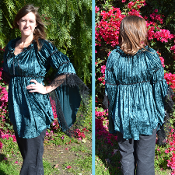 This blouse features our signature sweetheart neckline, an empire waist & a tear drop sleeve. 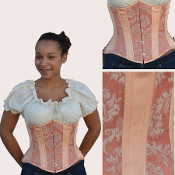 A short sleeved peasant style blouse, opened at the neck and trimmed with ribbons and roses avilable in one size or one size plus.